Creative agency J. Walter Thompson Amsterdam is working with Young Designers United, a fashion collective from Amsterdam, and a group of Amsterdam’s top creative entities, to make a sartorial stance against global polarisation with ‘The United Collection’. A small but meaningful showcase of garments exploring what happens when the flags of conflicting nations are deconstructed and then reconstructed into fashion statements. 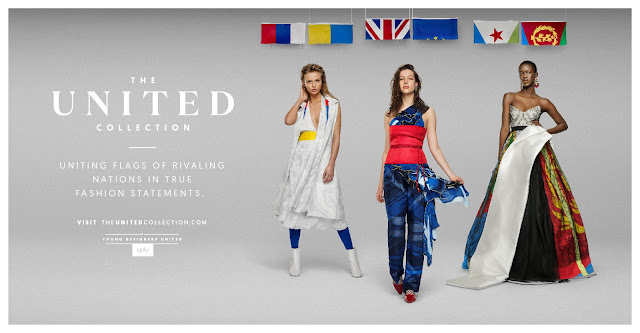 ‘The United Collection’ is launched today (April 17 2018) with an event, a website, an online video and an outdoor campaign – and the garments themselves will be publicly exhibited in Amsterdam. With well over 50 armed and violent conflicts taking place across the globe – and only a handful of countries living in relative peace - the world is as divided now as it was ever. Brexit and the imminent breakup of Europe as we know it, combined with a new Cold War and continued conflicts in Syria, Africa and the Middle East, presents a confusing and fragmented world order. This international climate of instability and political unrest provoked an exploration of creativity’s role within this context, which sparked the initial thinking behind ‘The United Collection’. ‘The United Collection’ focuses on three very different conflicts: Brexit is observed through the eyes of Dutch designer Anne Oomen; Romanian artist Andrea Endresz looks at the volatile relationship between the Ukraine and Russia; and finally Irene Heldens, also a Dutch national, interprets one of Africa’s many wars, the conflict between Eritrea and Djibouti. All designers are a part of Amsterdam fashion collective Young Designers United. Each designer chose a topic for their dress based on their own affinity with the subject. Therefore, the final garments are not only literally created from the flags of the opposing nations, but also metaphorically infused with the history of these conflicts. The materials were used for their symbolic significance, such as; gold thread to unite Eritrea and Djibouti; a red satin corset; rope to represent the suppression of the UK’s younger generation in the wake of Brexit; and hints of folk-designs shared between Russian and Ukrainian history. ‘The United Collection’ is a creative statement against the rising tensions seen, heard and read about on a daily basis. The initiative invites the viewer to observe and re-evaluate their response to (political) conflict by using fashion to spark a meaningful dialogue. Earlier today, the collection was unveiled in a building that is no stranger to controversy and conflict: art gallery Castrum Peregrini, a former safe house where artists went into hiding during the German occupation of Amsterdam in World War II. The choice of this location - whose name means ‘the fortress of the pilgrim’ - pays homage to the idea of using creativity to respond to political and social problems including conflicts. A message as relevant in 2018 as it was during WWII. 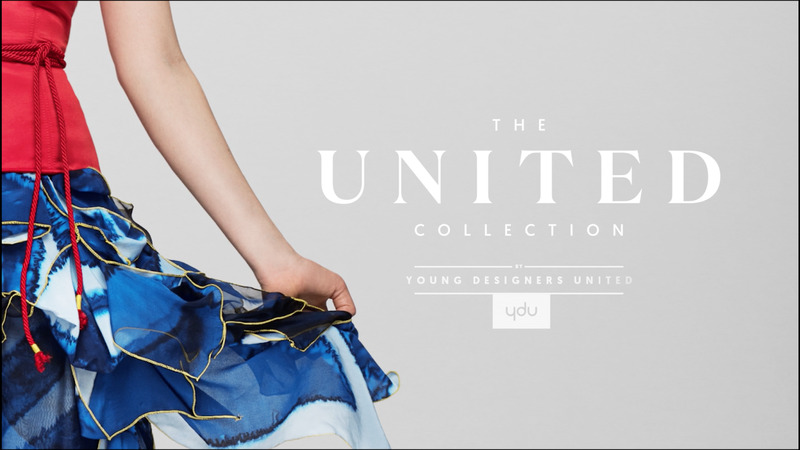 ‘The United Collection’ is not for sale – but rather its aim is to use fashion to carry a message of intent. It’s a call to arms to young creatives to observe and interpret the world and its politics in a slightly different way. And to remember that creativity has a unique role in an era where protest is – and should be – a driving force within culture.